ISLAMABAD: The Aug 19 speech by Prime Minister Imran Khan in which he spoke, among other issues, about the delay in the adjudicatory process has again highlighted the perception that the judicial system in the country is not delivering. Already seized with a staggering backlog of over 1.8 million cases in different tiers of the judiciary, including the Supreme Court, high courts and district courts, the state of affairs is not something to be appreciated. In his speech, the prime minister had showed his intention of meeting Chief Justice of Pakistan Mian Saqib Nisar for bringing reforms in the judicial system so that cases could not take so long and at least long pending cases of widows could take final shape within a year. The speech has also triggered a debate among members of the legal fraternity. 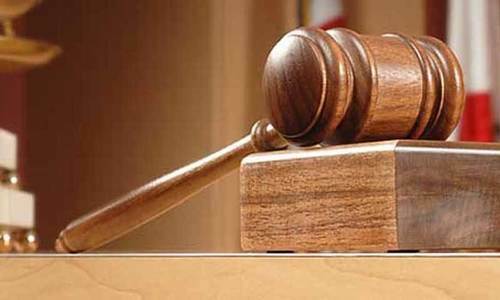 “Access to justice in our society is largely perceived to be slow and expensive,” commented Advocate Raheel Kamran Sheikh, a senior member of the Pakistan Bar Council. Sometimes it consumed generations and even rich and powerful litigants might not necessarily have access to justice without obstructions, he deplored, adding that presently at the levels of the bench and the bar, there was no accountability for being insufficient. Mr Sheikh said reforms in the judicial administration and expeditious dispensation of justice required a certain amount of will and relentless efforts for a considerable length of time even if the requisite will and wisdom were there. It was perhaps for these reasons that no chief justice of Pakistan, in the recent past, had devoted himself completely to such reforms; rather they had focused more on judicial activism and instant justice in important matters of high media value, he added. “One wonders if recourse to judicial activism, among others, is a strategy employed to distract the people from calling in question the administration of justice and inefficiency of the judicial process?” he asked. If so, it had worked well so far, but won’t work for long, he said, adding that the bench and the bar would have to take responsibility, adequately address and fix failures of the system and ensure expeditious and efficient justice before it was too late. “What the prime minister had said in his speech is a gospel truth, but some people turn blind and some find courage to point it out,” commented a senior judicial officer. The concern about the delay in the adjudicatory process has never been contested and even the chief justice himself had acknowledged on a number of court proceedings that being the head of the judicial organ, he had failed to put his house in order. 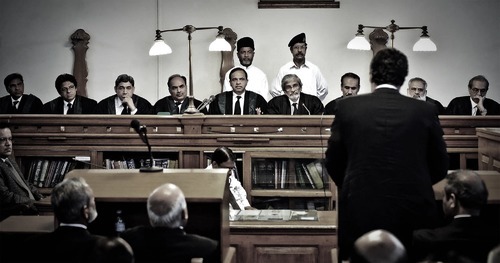 The realisation that the image of the judiciary among the masses is not something to be celebrated was also accepted by the chief justice when, during a meeting of the administrative tribunals and special courts in the Supreme Court building, he regretted that with a total budget of Rs4.3 billion and a total of 330 special courts and administrative tribunals, including the accountability and banking courts, the pendency of cases is still at 159,243. 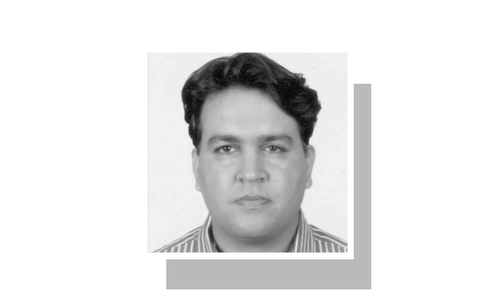 Surprisingly, an average disposal of cases by these tribunals or special courts varies from four to seven a month, the chief justice had regretted. He highlighted that the average salary of the presiding officers of these tribunals or special courts was Rs1.18 million if they were retired high court judges or Rs330,000 to Rs420,000 if they were sessions court judges. Interestingly, the Supreme Court is also seized with a petition seeking fresh rules for lower courts for deciding suits, petitions and appeals within a stipulated time limit. A joint petition, moved by Umeer Ijaz Gilani, Attaullah Hakeem Kundi, Muha­m­mad Haider Imtiaz, Raheel Ahmed and Hadiya Aziz, has sought a Supreme Court directive for the National Judiciary Policy Making to revise the National Judicial Policy (NJP), including a policy on delay reduction based on scientific assessment of the present state of affairs and its causes and submit the same to the apex court. The judiciary needs to be working 3 shifts to clear the backlog of cases. Haven't they heard the famous saying, which is the preamble of all law books and taught in all law schools of the world, " justice delayed is justice denied?" Other than taking cheap shots at the CJP, does this lawyer have anything of value to say? Lawyers themselves are a bit part of the problem, seizing on technicalities to delay cases year after year. It is high time to seriously look in to our Judicial system.I think all the reforms needed have been discussed on separete occasion/forums.Now is the time pit all head together and move fast.Fair and speedy justice is guaranteed by our Constitution.Therefore any delay in reforming judiciary tantamount to violation of Constitution. It is not a perception - the judicial system is not working specially for the common man. Lawyers and judges will have to change their ways specially in the lower courts to deliver justice. Corruption and engineered delays are making life of common man difficult. Lot more has to be done and delivered. IK will not lasts more than 2 years. How can he question judiciary who has played impirtant role in making him PM of Pakistan. If CJP would stop poking his nose in other departments he may be able to clear some backlog. Clear the corruption right from the roots of judiciary. only then it would succeed in clearing mountains of the backlog. Where ever a judge suspects , based on his experience, that one party is using the courts to delay the case to deny final verdict, they should order completion of case within 1 to 3 months. Now cases go for 10 to 15 years just based on delaying tactics by parties, court recess, strikes, legal fratenity own declared holiday, politiking for political parties, fracas in court etc. Eradicate these symptoms.